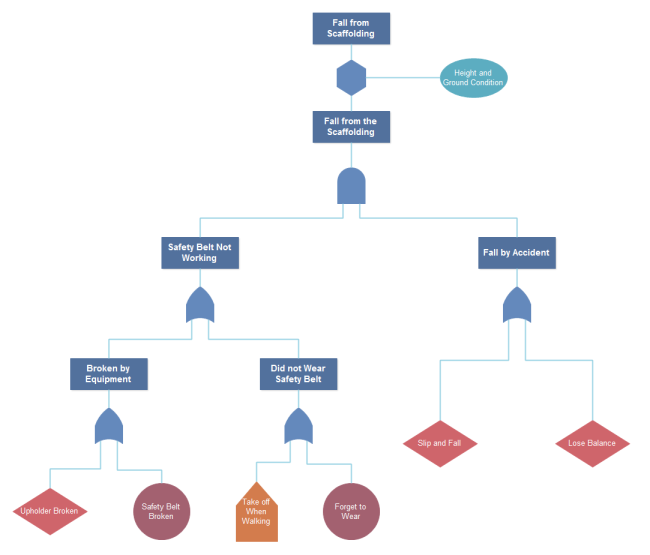 Description: Here is an editable scaffolding fall fault tree template provided for free. Edraw can be used as an excellent fault tree diagram software coming with extensive symbols and notations. With the correct tool, you don't need to spend much time drawing, connecting, and aligning shapes. Download this template and experience the awesome function of this software.